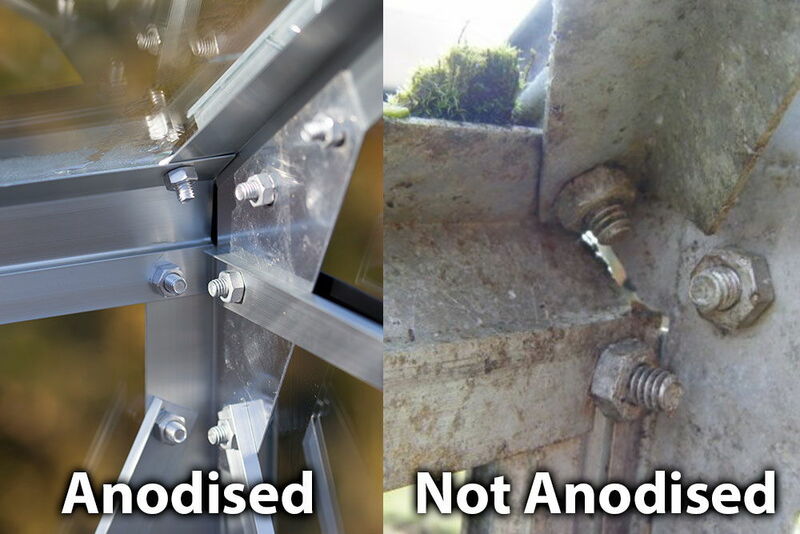 Black Powdercoated Frame - No rust or dis-colourisation! 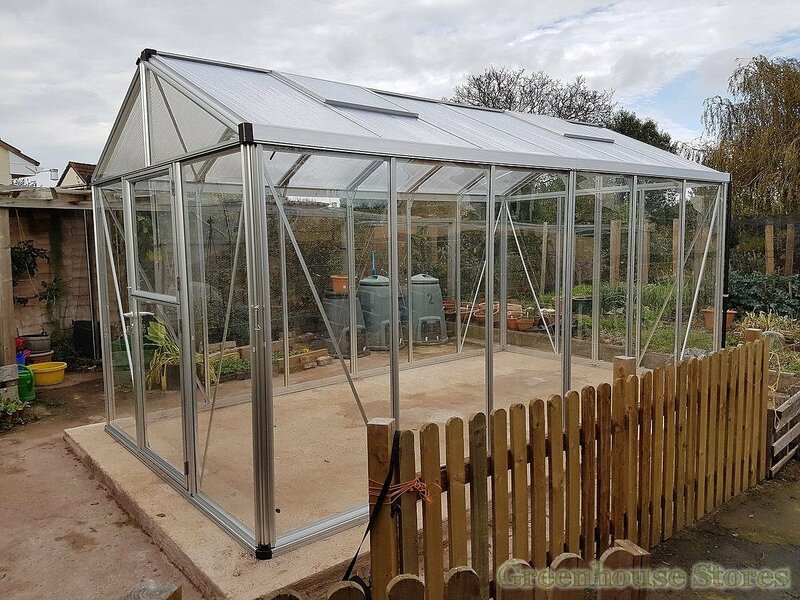 The Black 8x13 Vitavia Zeus Greenhouse has high 6ft 2" eaves and a great practical growing area with lockable stable doors. 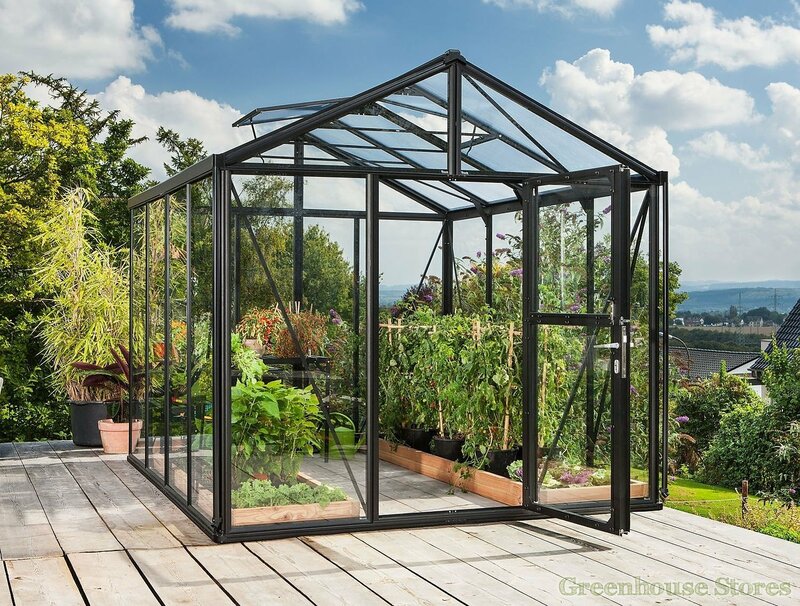 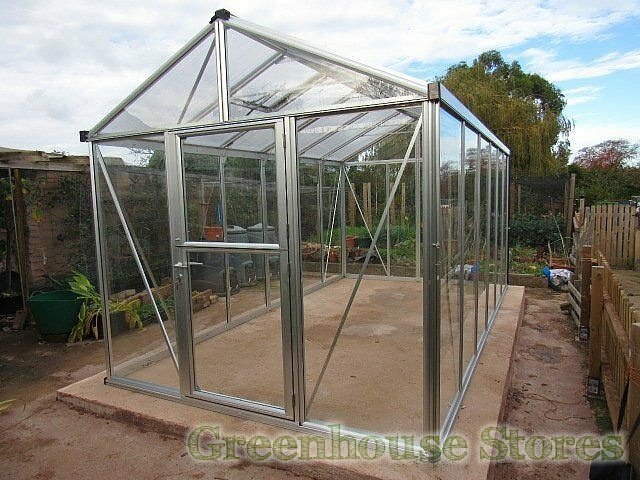 The Zeus Greenhouse in Black is a semi-professional greenhouse that offers a large and practical growing space. 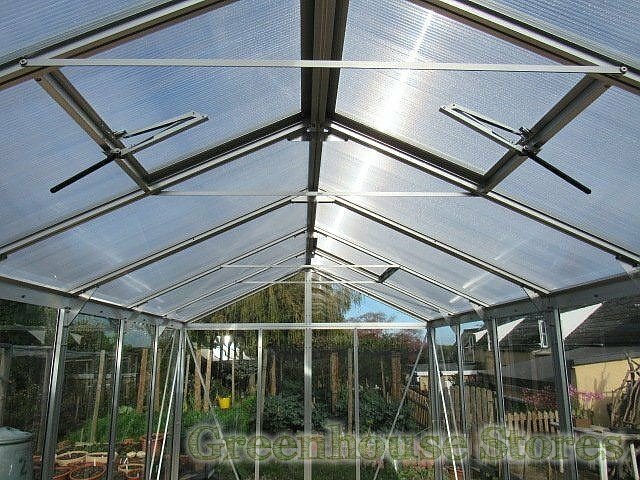 The huge 6ft 2" eaves height gives growing room for the very biggest plants as well as excellent light transmission through the large long pane float glass panels around the greenhouse. 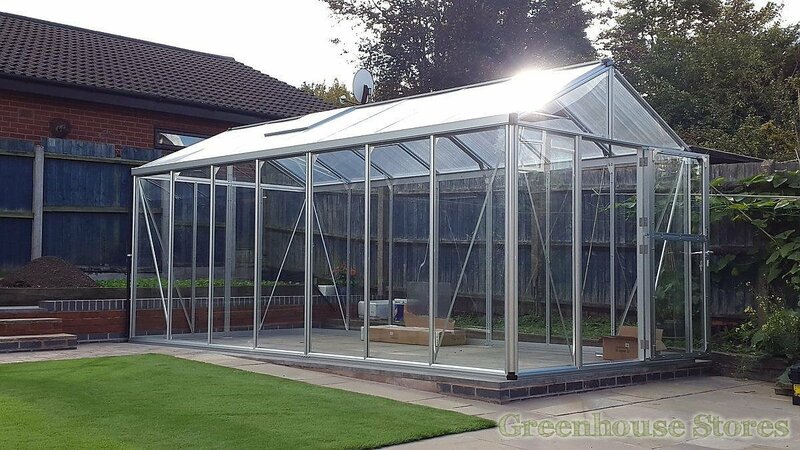 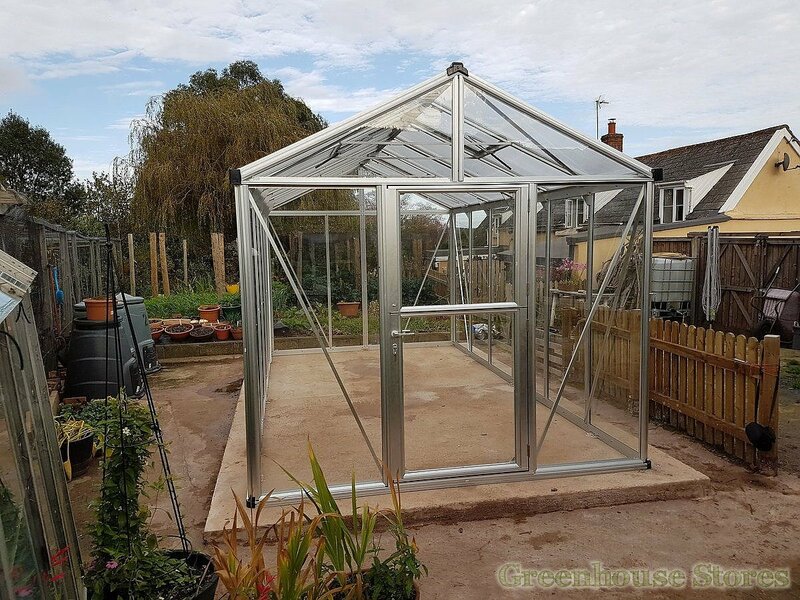 The 10mm polycarbonate roof minimises heat loss, reduces condensation and provides protection from harmful u/v rays that can scorch your plants. 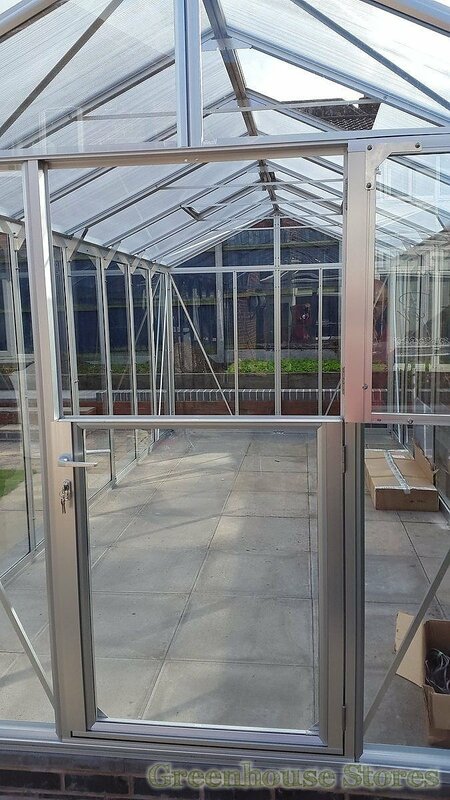 The lockable Stable Door gives good security and an extra ventilation option as you can leave the top of the door open to ventilate the greenhouse in hot weather. 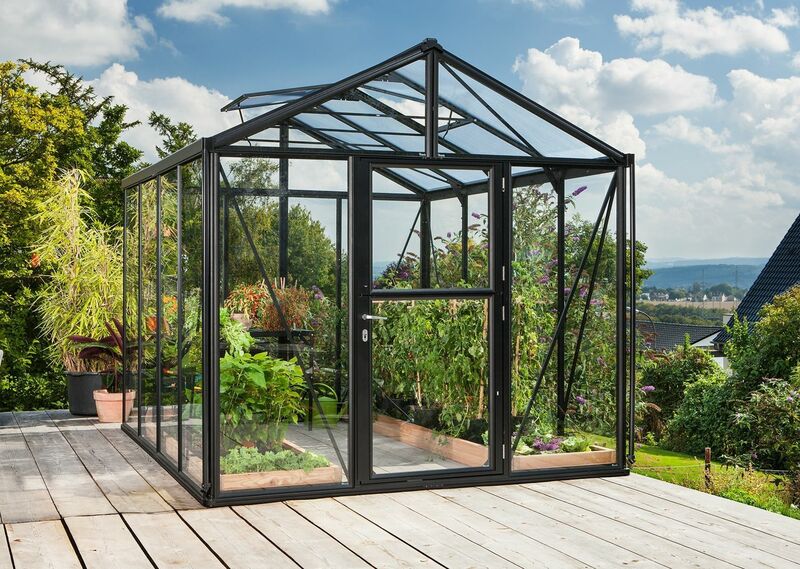 This Black Vitavia Zeus 8x13 has 2 opening roof vents for ventilation, a lockable stable door and integral gutters. 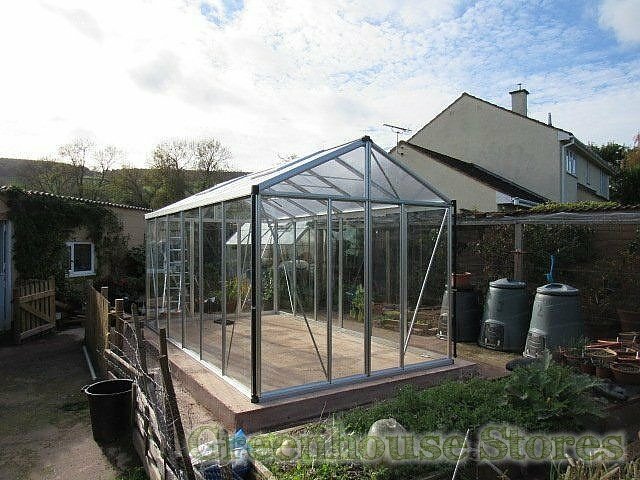 This 1 Tier Vitavia black greenhouse staging gives you a handy work surface and storage area. 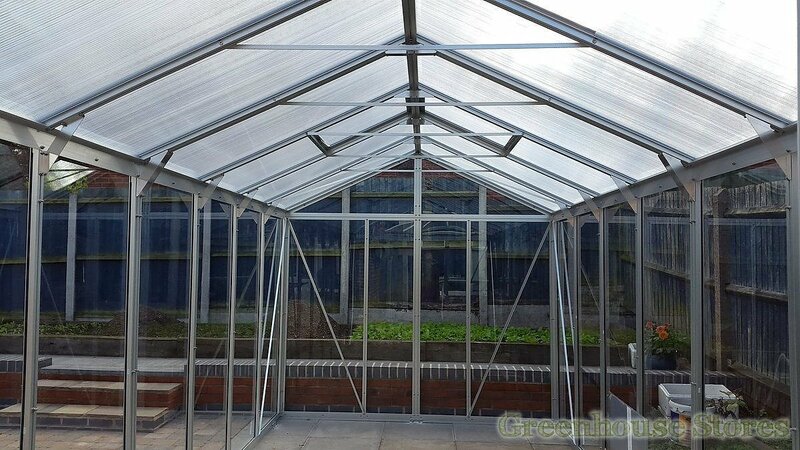 Dimensions: 76cm (H) x 50cm (D) x 120cm (W) Please note photo shows Top tier extension as well!